This book was described to me by the publisher as a love/ghost/dog/revenge/ mother daughter story that's really fabulous and it was! This book is every woman's fantasy if she was cheated on by a love and dreams about what revenge she can do against her ex not only in this world but from beyond. Joanna DeAngelis is consumed by betrayal, spending her numbered days cyberstalking Ned McGowan, much younger ex, and watching him thrive in the spotlight with someone new, while she wastes away with breast cancer. She’s every woman scorned, fantasizing about revenge … except she’s out of time or is she? Joanna falls from her life, from the love of daughters and devoted dog, into an otherworldly landscape, a bleak infinity she can’t escape until she rises up and returns and sets it right – makes Ned pay – so she can truly move on. This book was at times emotional living through the good times of Joanna's romance, her illness with breast cancer and the aftermath when her heart was grieving for lost love and the living that loved her still on earth. The book was exhilarating when she acted out her revenge from beyond the grave wreaking havoc for her intended target. 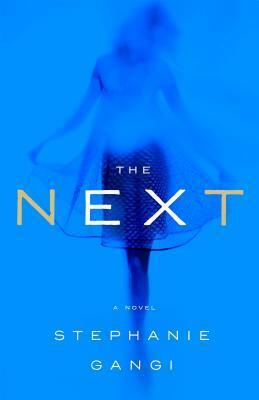 The Next was a great read but at times it was slow paced. Thank you St. Martin’s Press and Net Galley for the free ARC in exchange for my honest review. "I am a new element, now elemental, now ether, now risen, now doomed, and now ready to trespass against you as you trespassed against me. Closure time, Doc."